WE HATE HISTORY. Not, of course, in the same bloody way they do in Yugoslavia or Ireland. No, for Americans, the word just conjures up images of stifling classrooms filled with dusty books and yawning students. Turn to page 347, memorize this arbitrary list of names and dates, and pay attention, if you can. Perhaps we've always despised the past, but maybe we hate it more than ever in our future-is-now world of MTV-style everything, where television is king and amnesia seems widely welcomed. In any case, you might imagine that this brave new world leaves Howard Zinn fumbling in the dark. After all, the 76-year-old leftist historian, best known for A People's History of the United States, his searing yet scholarly antidote to establishment history, is unfashionably retro in many ways. An unabashed socialist and activist, Zinn might seem an anachronism is a world where left-wing ideology is widely supposed to have joined history down the memory hole. Think again. Far from seeking refuge in the ivory towers of Boston University, where he is emeritus professor, Zinn is as active as he's ever been, fighting poverty and racism and war, getting his populist message out in every medium possible, including a recent dialogue with grunge musician Eddie Vedder in the ultra-hip Interview magazine and a controversial new move onto network television. But is anybody listening? Do people still care about the story of the underdog? Zinn himself doesn't doubt it for a moment. "I do a lot of traveling around the country to speak here and there, and I'm always impressed that wherever I go there are groups of people conscientiously working to change things," Zinn says in his quiet voice, speaking by phone from his home in Boston. "People working for sexual equality, people working against racism ... There are thousands of people all over the country working for good things, and that to me is a hopeful sign." A People's History is certainly not going out of style any time soon. Zinn--who will speak May 6 at Sonoma State University--has crafted an accessible historical narrative that reverses the view we've traditionally been offered of our country. Rather than focus on generals and presidents, he tells stories of the people at the sharp end of history: Native Americans, rebellious slaves, union activists, and countless others whose resistance to brutal oppression did so much to shape our nation. It's not exactly happy stuff, but it apparently strikes a chord with many readers. The book has sold more than 600,000 copies since it was first published in 1980--not bad for an imposing historical tome. Moreover, last year it sold more briskly than ever. 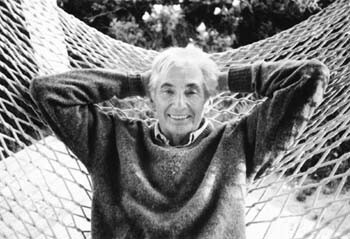 The book may be so compelling in part because its contents reflect Zinn's own tumultuous life. As he recounts in his autobiography, You Can't Stay Neutral on a Moving Train, Zinn grew up in a working-class family and absorbed socialist philosophy on the streets of New York City. As a young man, he jumped headlong into the war against fascism, only to be disillusioned by the horror and pointless bloodshed. Upon his return, he studied history on the GI Bill, received his doctorate, and ended up teaching at Spellman College, a small black school in Atlanta where his students included the future novelist Alice Walker. It was a short move to participation in the civil rights and anti-Vietnam War movements. THE STEADY POPULARITY of A People's History has not gone unnoticed. Network executives have apparently smelled profit, and Zinn is now in negotiations with Fox Television to bring the book to the small screen as a six-part miniseries that could air as early as spring of next year. Fair enough, except that there are some who wonder what the heck Zinn is doing shacking up with Fox owner Rupert Murdoch, the notorious Australian media baron whose archconservative politics put him one goose-step to the left of Adolf Hitler. For his part, Zinn seems amused by the controversy. "I think it's strange, too," Zinn says. "Maybe Murdoch thinks it's strange. But there are things on Fox that don't exactly fit his political philosophy. The Simpsons, for instance. I think he's mostly concerned about airing programs that have a lot of viewers so he can make money. Maybe profitability is more important than his beliefs. "After all, he needs the money, right?" Zinn adds with a laugh. It also doesn't hurt that Zinn has some important fans in Hollywood who have championed the project. Actors Ben Affleck and Matt Damon are friends with the historian, and the two are helping negotiate the Fox deal and acting as co-producers on the show. Other high-profile celebrities, including Winona Ryder and Danny Glover, are reportedly eager to act in the project. Of course, the big question for many is whether the series will do justice to the book's leftist politics and sophisticated treatment of American history. For Zinn, that's an important issue. "All of us are determined that the television series be faithful to the vision of the book," he says firmly. "We wouldn't do it otherwise. It won't be Hollywoodized." This TV experiment is far from the only iron Zinn has in the fire. He is also coming out with Marx in Soho (South End Press; $12), the published version of a one-man play featuring the founding father of scientific socialism in the starring role. Heaven, it seems, has allowed Marx to return to Earth to clear his name and comment on recent world developments. The play highlights the fact that Zinn is not afraid to identify with the controversial German theorist, though he won't call himself a Marxist. "Marx didn't even refer to himself that way," Zinn explains. "One time he said, 'I am not a Marxist,' and that's because the word, for him, became something that encapsulated him too rigidly into an ideology. I feel the same way. A lot of people have called themselves Marxists, and a lot of them I would not want to be associated with. But I think Marx had a lot of insights into the nature of our society that are still valid and should be listened to." Zinn's biggest current project, however, may be his determined opposition to the NATO bombing of Yugoslavia. That stance sets him apart even in the U.S. left, which has been divided by the horrors of ethnic cleansing in the Balkans. Zinn says he understands and shares that revulsion. But he is deeply suspicious of U.S. militarism, and he believes even our smartest bombs can't solve this problem. "Milosevic is obviously a tyrant, a terrible person," Zinn says. "But we have to be careful not to make the situation worse. I believe that the bombing policy is terrible, that it has made things worse than before." As evidence of that, Zinn points to the incredible flow of refugees and the growing number of innocent victims of NATO bombs. None of those developments come as a surprise to Zinn. The World War II veteran says he learned long ago that there are no good wars. "When governments don't know exactly what to do next, they go to war," Zinn says. "Violence is not their last resort. It's the first." Howard Zinn speaks Thursday, May 6, at 8 p.m. at Warren Auditorium, SSU, 1801 E. Cotati Ave., Rohnert Park. Tickets are $10 at Copperfield's Books. For details, call 664-2382. From the April 29-May 5, 1999 issue of the Sonoma County Independent.